What's your situation? Choose from below to get the right information. Do I need a permit to enter and stay in the CR? 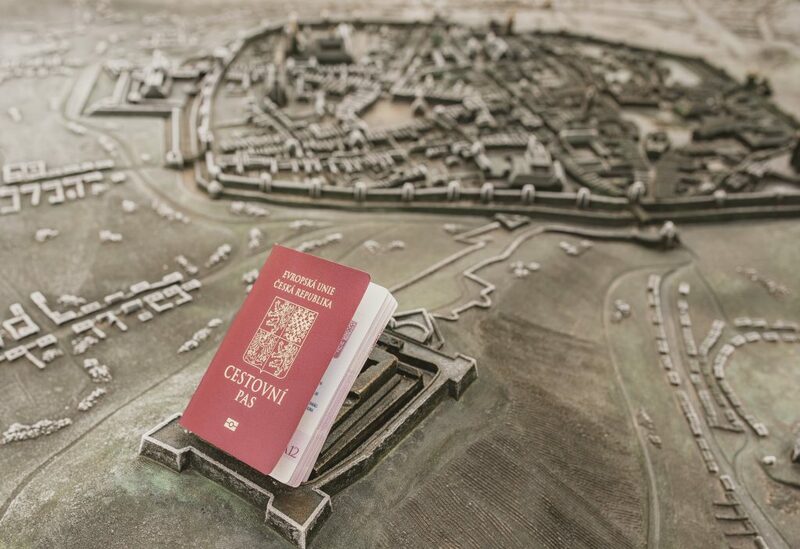 Citizens of the EU, Iceland, Norway, Liechtenstein or Switzerland can enter and stay in the Czech Republic without any special permit, solely on the basis of a travel document or an identity card. Having a residence card does have its advantages in the long run. In some cases, we recommend getting the card once you are in Brno. You can read our guide Residence permits to find out more. If you are planning to stay in the CR for over 90 days, you need to obtain a long-term visa or residence permit. Applicants for the visa have to specify a purpose for their stay in the CR and apply for the appropriate visa at a Czech embassy. The purpose of stay might be employment, business, scientific research, studies, family reunification, culture or other. The Czech Embassy is only authorized to receive an application for a long-term visa; the competent authority for processing it is the Ministry of Interior (MOI). During the procedure, the Czech Embassy communicates with you, invites you for a hearing and calls on you to pick up the visa. Once you were hired by your employer and you have signed the employment contract, you may apply for the so called Employee card. The Employee card is a single permit to stay in the CR for the purpose of employment and to perform work in the job, for which the card was issued. The Employee card is for all types of employment regardless of the level of required professional qualification. You must file the written application in person at your local embassy of the CR. If you are already staying in the territory of the CR on a visa for a stay over 90 days or on a long term residence permit for some other purpose, you can file the application with the Czech Immigration office. The folder for the application will need to contain the employment contract, proof of accommodation in Brno, professional qualification or diploma, criminal record, a photograph etc. For the complete list and requirements contact your local Czech embassy or visit the Immigration office website. When your application is approved, the embassy will issue a visa for the purpose of collecting your employee card. Before the visa is issued, you will be asked to submit a travel health insurance valid for the period from the date of entry into the CR to the date on which you are to start working. You will automatically join the public health insurance system on the day you start working. After the arrival to the CR, you have to visit the MOI office within 3 working days and pick up your employee card. Can you help me with the visa application? We can provide a general overview and explain how to apply for the long term residence permit for the purpose of employment – the Employee card. You can find out more about the process in the guide Residence Permits. For a fee, we can arrange for a professional support from an attorney guiding you through the process and fetching all necessary documents. Application for the long-term visa for the purpose of business can be filed based on having a Czech business licence “živnostenské oprávnění” or being a statutory body of a company or cooperative or its member. You need to have your business license or set up the company before applying for the visa. For “how to” get a business licence please read the guide Becoming self-employed. You must file the written application in person at a Czech embassy. For the complete list and requirements contact your local Czech embassy or visit the Immigration office website. You are entitled to file an application for a long-term residence permit for the purpose of scientific research at an embassy if you have signed a hosting agreement with a research organisation in the CR. For the complete list and requirements contact your local Czech embassy or visit the Immigration office website. As a researcher, you may also ask for help with the visa at EURAXESS centre in the CR. An application for a long-term visa for the purpose of family reunification can primarily be filed by a foreign national who is a spouse or a child of a foreign national (nonEU) who is already in possession of a long-term or permanent residence permit in the CR. You should file an application for a long-term visa at a Czech Embassy. For the complete list and requirements contact your local Czech embassy or visit the Immigration office website. If you are a family member (spouse, partner, child, parent) of an EU citizen, you can apply for a Temporary residence permit. An application can be filled in person at any MOI (Ministry of Inferior) office in the Czech Republic within 3 months of entering the country (on a tourist visa for instance). For the complete list and requirements visit the Immigration office website. Other foreigners, willing to stay in the CR for over 90 days, need a long-term visa or residence permit.